Have you completed your WoundEducators.com online wound care course? If so, congratulations! 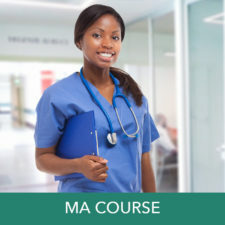 After completing the WoundEducators.com online wound care coursework, you will be required to take the final comprehensive course test. 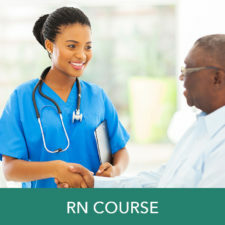 This WoundEducators.com test is to ensure that you retained the knowledge presented in our wound care course and that you are also prepared to take your certification exam. 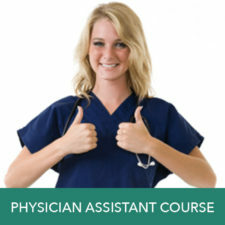 Upon passing the test at the end of the course, you will receive a continuing education credit for up to 60 hours. The number of CE hours awarded is dependent on your current active license and the exact wound care course you took. Our online wound care courses are equipped with study guides, online flashcards, and interactive learning components that can be used to prepare for your final in-person certification exam. Because we feature an “Until You Pass” guarantee, you will be able to use your course materials to prep for your exam. If you are still unsure of which certification you should pursue, read our suggested wound care certifications. The path to certification will differ slightly for each certification you wish to achieve. You will need to provide documentation of current license, wound care course completion, and required CE contact hours or approved clinical experience for most wound care certification exams. You will also need to register for each wound care certification exam through the appropriate board – WOCN, AWBM, or NAWCO. You can create an online profile through each of these organizations and submit your appropriate documents and proof of qualification. 50 CE wound care contact hours over the last five years and 1500 clinical experience hours over the past five years (at least 375 of those hours must be completed within the year prior to certification application). You must complete a wound, ostomy, and continence nursing (WOCN) education program duly accredited by the WOCN. The CWCN exam is comprised of 120 questions and is offered at 450 testing centers. The testing fee for one specialty is $395 and you will be given 120 minutes to complete the exam – roughly one minute per question. Read through the full WCC application form to get started. All wound care certification exams administered by the AWBM – including the CWCA, CWS, CWSP certifications, will require you to have 3 years of clinical wound care experience in addition to completing an accredited wound care course like those offered through WoundEducators.com and proving you have an active license. The certification exam is offered at AMP/PSI testing centers. In order to be approved for the certification exam, you must submit your application through AWBM and wait for a PSI email and postcard to arrive. You will then take this email or postcard to the PSI testing center of your choice. The examination is administered by appointment only, Monday through Friday, at either 9:00 a.m. or 1:30 p.m. Saturday appointments may be scheduled based on availability. You must schedule your exam at least two days in advance, according to testing center regulations. The exam fee for CWCA is $375, CWS is $575, and CWSP is $995. 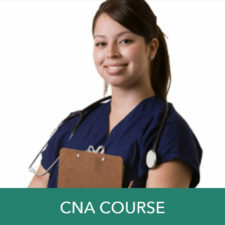 We recommend that associate-level RNs, LVNs, LPNs, CNAs, and MAs pursue the CWCA certification. We recommend that any nurse with a Bachelor’s, Masters, or Doctorate degree pursue the CWS certification. BSNs can pursue the CWS or CWCN certification. Physicians, MDs, DOs, and DPMs should pursue the CWSP certification, which is the highest level of wound care certification achievement. If you are trying to pursue your WCC certification, you will need to create an online profile and complete the initial certification application through NAWCO to register for the exam. Like most wound care certification exams, this exam is proctored in a regulated PSI testing center. To qualify to take your exam, you must follow either the preceptor, experiential, or the “other certification” pathway. You can qualify for the experiential pathway if you have 4 or more years in a full-time wound care profession. In addition, you must have 60 approved contact hours of continuing education and wound care. If you do not have 4 years experience but have already obtained your CWS, CWCN, CWOCN, CWON, you qualify to take the WCC exam as an additional certification. The preceptor pathway may be ideal for those that have less than 2 years of full-time wound care experience but can complete 120 contact hours with an approved NAWCO clinical preceptor. It is important to note that the WCC is no longer an accredited certification, so your efforts to become wound care certified may be more beneficial through an accredited certification like the CWCS, CWS, CWSP, or CWCN. 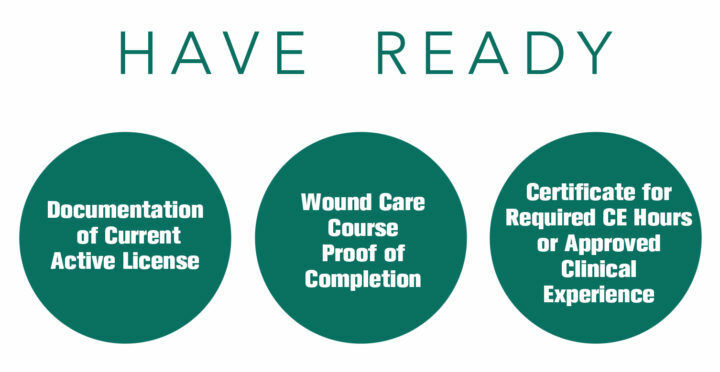 Even if you do not have all required hours necessary to take the exam, you can still get a head start on becoming wound care certified by taking one of our online wound care courses. There is no requirement to take the course, and it will provide you with invaluable wound care management knowledge. By using the included study guides, you will be prepared to take your exam once you do meet all certification requirements. I’m sorry I think I have contacted you before but if you are LPN with current WCC but need recertification…what course of yours would I take and how much is it? I’m trying to decide between you and WCEI for my recertification and I know I have to pay $330 through NAWC also. Thank you so much. Para las educaciones continúas que me interesan. Tengo certificación de CWSCN. Pero quiero saber como tomar los cursos de educación continúa. Me podrían decir. Estoy interesada en tomar el board. A dónde debo buscar. María, puedes usar nuestros cursos como educación continua. Ofrecemos un máximo de 60 horas CE, según el curso que tome. ¿Qué licencia de atención médica tiene actualmente? It would have been extremely helpful to be able to listen to all of the lessons in the online course again before the national exam. Thank you for your feedback! Our course access is 6-months, and affordable course extensions are available for purchase. In the event that someone does not the exam, they can send proof they took the exam and had an unsatisfactory score. 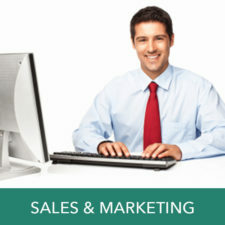 We will then re-enroll them in the course until they pass – hence our Until You Pass guarantee. This Until You Pass additional access will be good for up to three years from the additional purchase date. We are also working on putting course refresher videos on YouTube – stay tuned! Good luck on your certification exam if you haven’t already taken it! If the testing center experienced a shutdown you should be eligible to retake the exam. I would reach out to the testing center to reschedule due to circumstantial events.